Want to see this business? Then Select "Want Name/Address" to the left! Owner's Loss is Your GAIN!! Used to be a Pizza Place so there is plenty of electricity. Huge Price Drop. Pasadena Restaurant at Unreal Low Price! Are you looking for opportunity when it comes to the restaurant business? With the economy improving, we are seeing owners holding on to their restaurants longer and we rarely see a killer deal anymore. This is one of those. Experienced owners know how much first generation restaurants cost to open and the smart ones look at 2nd generation deals when they become available. This is one of those deals. This place is turn-key. All it needs is an experienced owner and the right concept. The price is a real bargain! Illness forces owner to sacrifice this Mexican Quick Serve Restaurant in a robust busy city. 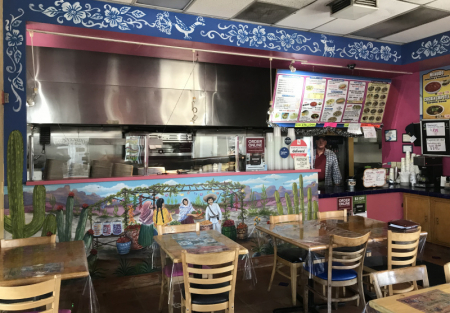 Currently operating as a Mexican Fast-Casual Restaurant, you should consider bringing your own concept as this area is ripe for good restaurants. Fully equipped with a very large 20 ft hood, this is turn key. Owner started this as a second career and a family illness has opened up a golden opportunity for the right operator. Got a franchise concept in mind? This restaurant is ideal for almost any type of concept. Italian, Tapas, A good Deli or even a popular franchise would be a great fit here. Some of the equipment in place is A Salsa Bar, Ice Machine-owned, Industrial refrigerators and freezer, Wolfe Stove, Chill Table-everything you need to get started. Almost 3 Years left on lease. Landlord open to option. 1,180 Sq. Ft on busy and popular street. Currently there in no alcohol on site-owner just never got around to it, so get a 41 license and bring in some craft beer and you could have a winning concept.